way and wants His Bride ready. Jesus began “Getting ready. Getting ready to meet Me. Preparing their hearts before My mirror and asking forgiveness for what they see that is not right. “All these years My people have gone one of two ways: being constantly guilty or constantly OK – like, ‘nothing wrong here.’ But now I am asking for a deeper look. A more candid look, not glossing anything over. It is incomprehensible to you, My children, the demands of personal holiness. Because of My mercy, much is overlooked. But rather than be shocked, as that young boy Nathan was when he stood before his audience and his sins were revealed. I want you to spend time with My Holy Spirit and ask Him to reveal the darkness still inside of you. “The heart of this exercise is preparation and readiness to face Me. So much will be forgiven and removed on the way up to Heaven, but I do insist that you forgive everyone that ever offended you. I don’t want this experience marred by unforgiveness. “What may help you in that area is that whoever was a challenge and injured you, had My permission. I am not the author of evil, but I did allow it as a challenge in loving others and dying to yourself. So, ultimately you can only blame Me for allowing it. Therefore be sure that you forgive the person, that you forgive yourself, and that you forgive Me. Cover all three bases. Ask Me to remove the root of bitterness you allowed to grow in your heart and defile it. There most certainly is a root of bitterness in every one of you. It is your job, with My Holy Spirit to identify it, renounce it and pray I will remove it. “This exercise should not take you long, and it will not hinder your going into eternity. There are many of you that could be detained for unforgiveness. 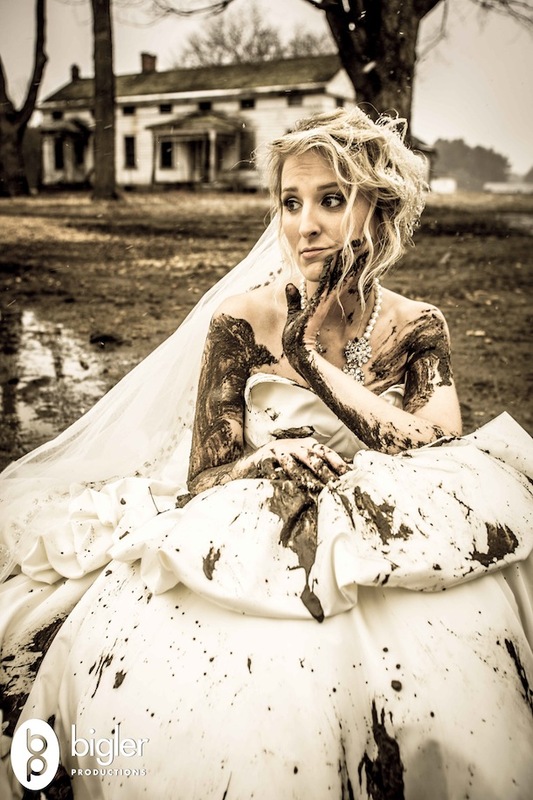 If you have bitterness in your heart, it is the ugliest of stains and will show right on the front of your wedding gown. So, be sure to rid yourself of that. Disarm it. By that I mean, refuse to allow it to pull you into a fury. Renounce this anger and unforgiveness in My Name, and refuse to connect with it. If you are faithful to make an honest effort, I will surely be faithful to totally remove it. “Selfishness is another flaw that you should repent of. Look for those times when you could have done something for another but didn’t bother. Either because you didn’t want to or you didn’t feel up to it. Do you know that many times I heal a malady because you went out of yourself to give, even when you were sick? There is a dynamic here. I would just like to say something here. Before ministry appointments? Oh, my goodness. We get barrages of provocative situations to wear us out before our appointment. This is so typical. I remember all the way back, I can remember these occasions all the way back 25 years ago, where the enemy tried to get us upset before an appointment. Another thing to be aware of in selfishness is the self-important attitude, ‘I’m to busy for the likes of you.’ The ‘you aren’t important enough to me to stop what I’m doing.’ attitude. This is abhorrent to Me. Now we are getting into PRIDE, which is truly at the root of all evil. Selfishness will lead to Pride and selfrighteousness. Look for those times when your conscience twinged and you ignored it. Those are very good indicators of hidden sin. “My Beautiful Bride, I am not saying these things to make you feel badly. I am saying them so you will stand clean before me. Sin is dirty. Unconfessed sin continues to be dirty. But sin confessed and forgiven exists no longer, it has been cancelled out. I want all My Brides to have their sins cancelled out. “Self-will, selfish ambition and jealousy that cause you to follow your own path rather than Mine, are also important to confess. If you are not sure, better safe than sorry. Better knowing that you recognized it than hiding it and having Me bring it up. Oh, so much better. “Here is a list for you to use in checking your behavior: Fear, Pride, Jealousy, Judgment, Anger, Laziness, Greed (acquisition), Gluttony, and Lust. “Pay particular attention to those things that you do habitually when you know in your spirit you should be doing otherwise. They are an indication of disorder in your life and idolatry, because you put them before Me. These are indeed wrinkles in your dress. “As I said before, this is not to discourage or reprimand you. It is to prepare you to meet Me without spot, wrinkle or blemish. “A spot is something you allow to defile you, something you watch you shouldn’t have watched, something you said you shouldn’t have said, a feeling you engaged that you should have rejected. “A blemish is an indication of inner contamination of the spirit. It comes up because something isn’t right inside. It could be an attitude that contaminates everything you do, like selfishness, fear, retaliation. “A wrinkle is formed by a long-standing habit of sinful or disordered behavior. Having to work on Sunday, because you are in debt over your head, is the symptom of a wrinkle. The avarice caused you to want and to buy, then to pay it off you must deny Me the time I ask you to set aside every week for rest and rejuvenation with Me. “Some of you are forced to work on Sunday or the Sabbath because that is the only work you could get. I am not legalistically condemning you for this. Did I not pick grains on the Sabbath? Did I not heal on the Sabbath? There is an attitude of heart that is so greedy that every spare moment is used to procure what is wanted. “I wish for you not to get into arguments about which day of the week is holy. I will not instruct you on this, because it leads to a religious spirit. I want your heart, not your lip service and obedience to the law. Yes, I can hear the stones flying through the air now. This attitude of heart is deadly to a personal relationship with Me. You will note, it was the scribes and pharisees that refused their hearts to Me, because I did not support their Sabbath rules in a way suitable to them. precincts and their greatest threat was that they no longer would have an income from these illicit activities. That is a wrinkle. The habit of having more and better caused them to twist their consciences in order to provide for their excesses. “Some of you, especially the young ones, will over-react in fear to this. Please, My precious dear ones, this is not condemnation of you. It is to make you aware of the righteousness of God and how very deep it goes. Most of you do not have properly formed consciences. You were not raised on the Word in a holy household. So I must take you back to those roots and reveal to you how some of the things you were never taught are important. “But I am not a legalistic God. I am full of mercy, understanding and forgiveness. I want your heart. I want you to love Me, to trust Me, to come to Me and speak with Me about your weaknesses, your sin and insecurities and fears. I want to help you overcome these things. “If you have something you cannot change and you fear it is displeasing to Me, talk to Me about it. I will help you.It may not even be wrong-doing on your part. It may very well be from the father of lies, who is continually trying to make you feel badly about yourself. “Yes! Condemnation is his favorite tool. Why, you ask? Because if he can convince you that you are bad and worthless, and that I am a severe judge, you will avoid Me and never come into My arms and trust Me. “So, what I am telling you, in a nutshell, is simply prepare yourself in repentance to meet Me. Just as you would wash and shower before a big event, wash yourself in My love and forgiveness. Don’t be afraid to confess anything. Remember, I was there when it happened and I will forgive what you confess. Let’s do this together.